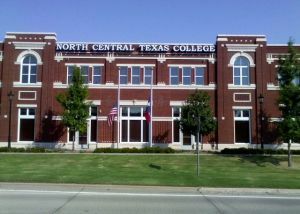 NCCD successfully partnered with North Central Texas College to purchase and develop a 35,000 square foot building to be used as a classroom and administrative space for the college’s new satellite campus in Flower Mound, TX. To finance the project, NCCD secured $9.7 million in tax-exempt revenue bonds as both borrower and titleholder. NCCD then entered into a tax exempt lease purchase agreement with the college where every lease payment has a principal and interest component similar to a home mortgage. At the conclusion of the level debt service payments title to the facility will transfer to the college for $1.00. In addition to the building’s purchase, North Central Texas College was able to secure the necessary financing to contract with a local developer to finish the build out the space through the agreement. For this particular project, the ability to work with the right contractor was especially essential because the college was under a time crunch to complete the building before classes began. NCCD then entered into a tax exempt lease purchase agreement with the college where every lease payment has a principal and interest component similar to a home mortgage. At the conclusion of the level debt service payments title to the facility will transfer to the college for $1.00. Mitigated Risks and Increased Flexibility: As the current titleholder of the building, NCCD assumes the financial risks associated with the project rather than the college. Renewed annually, this agreement also allows the college to characterize these payments as a current expense giving North Central Texas College additional flexibility in planning future expansion projects. Meaningful Cost Savings: In addition to the lower costs associated with tax-exempt project financed when compared to commercial funding, NCCD was able to use its not for profit status to successfully petition the local government authorities for an exemption of ad valorem taxes over the course of the twenty-year financing term. Taken together, the tax-exempt financing and avoidance of ad valorem taxes has resulted in an annual savings of over $200,000 per year for the college when compared to the initial funding structure of the facility. As an additional consideration, when title passes to the college we anticipate the building itself will have appreciated to the level of being a $14 million asset. Community Impact: Since first opening in January 2011 with 800 students, North Central Texas College-Flower Mound has more than doubled its enrollment today. In addition to its wide range of associates degree programs, North Central Texas College-Flower Mound also is home to a Small Business Development Center. The SBDC offers comprehensive business advice to local entrepreneurs at no cost. Read more about how this project was completed here.